Against all the odds, Dolly Rawlins and her gangland widows managed the impossible: a heist their husbands had failed to pull off - at the cost of their lives. But though they may be in the money, they're far from easy street. Shocked by her husband's betrayal, Dolly discovers Harry Rawlins isn't dead. He knows where the four women are and he wants them to pay. And he doesn't just mean getting his hands on the money. The women can't keep running. They have to get Harry out of their lives for good. But can they outwit a criminal mastermind who won't hesitate to kill? 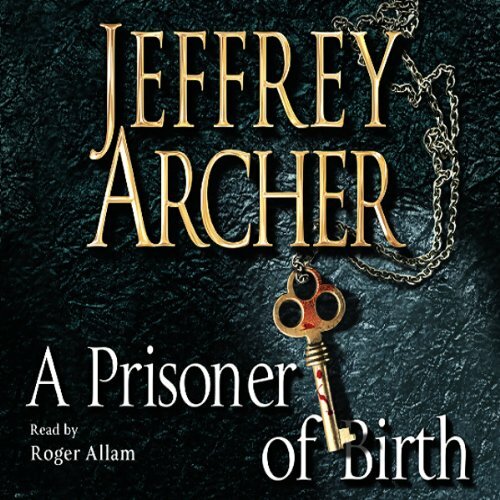 You heard it here first: The unabridged edition of A Prisoner of Birth is only available as a download. 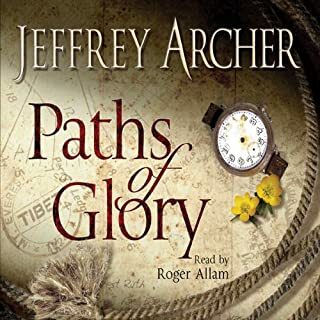 This download also includes an interview with Jeffrey Archer about A Prisoner of Birth. Danny Cartwright and Spencer Craig were born on different sides of the track. Danny, an East End Cockney, leaves Clement Attlee Comprehensive School at the age of 15 to take up a job at a local garage. He falls in love with Beth, the boss's daughter, and asks her to marry him. Spencer Craig resides in the West End. 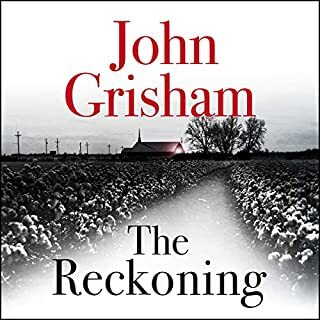 A graduate of an English public school and Cambridge University, he becomes a criminal barrister and is soon tipped to be the youngest Queen's Counsel of his generation. Danny and Beth travel up to the West End to celebrate their engagement. They end the evening in a wine bar where Spencer Craig is also celebrating - his 30th birthday, along with a select group of university chums. Their lives will never be the same again. For, an hour later, one of them is arrested for murder, while the other ends up as the prosecution's chief witness in an Old Bailey trial. This is a great story and a very clever, modern reflection of The Count of Monte Cristo. Roger Allan brings it to life wonderfully. I wish Archer had made it as epic as Dumas paced unfolding of plotting and revenge. it seemed to be over so easily and quickly as it raced toward the ending. I would like to have had more feeling and detail given to the characters experiences rather than it being left to my imagination. Who am I to criticise a great writer though! Easy to become engrossed in the story and could not wait to hear more about the characters, enjoyed all aspects. I like this story end unpredictable end. exciting .I recommend to my friends and family members. Well crafted story, insights into prison life interesting. Archer is a master craftsman. Wont disappoint. I don't write reviews, this book is worthy of changing that. Great book and great narration. Cannot recommend highly enough. Enjoy. Would you listen to A Prisoner of Birth again? Why? What was one of the most memorable moments of A Prisoner of Birth? 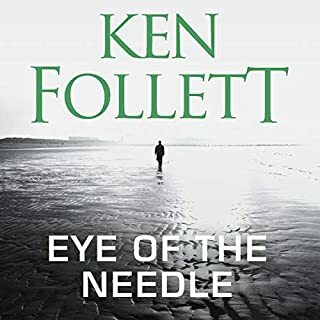 Great book - great story & great narrator - would recommend to all & great on a long road trip. Compelling reading, couldn't stop listening. What made the experience of listening to A Prisoner of Birth the most enjoyable? Which character – as performed by Roger Allam – was your favourite? What could I say? I loved it. The book had everything I hoped for in a plot. 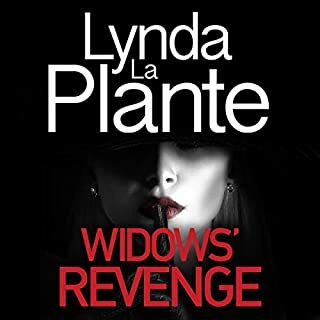 Great characters, great twists, legal battles, smart negotiations, background histories, a love story and a sweet revenge. I am a Dumas fan and I agree with the author that it was a challenge to write his own Count of Montecristo. But I believe Archer made a wonderful job for the modern reader. If I could say one negative thing about the book was the fact that it took me a while to warm up to Beth. I admired her loyalty, but couldn’t feel all that the author was trying to convey about her. This book really got me in! A thoroughly absorbing tale. Some delightfully humorous Courtroom scenes. A well constructed story that I had difficulty putting down! A great story of one losing a friend and getting accused by his murderer and then finding a way to get even. The story is most gripping. Well performed with excellent change of accents. Every time I read or listen to this book I enjoy it. One of my favourites. I loved this book. 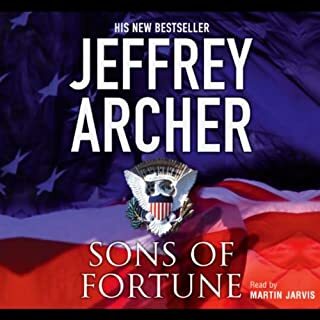 The Best Jeffrey Archer ever. Could hardly breathe as I listened to the last chapters. And 10 out of 10 to Roger Allam. What can i say but a real twist in the tale, very difficult to stop listening even when others wanted to talk to you. You just could not wait to switch back on. It also shows how someone from a disadvantaged illitetate background can turn their own life around when shown another way. 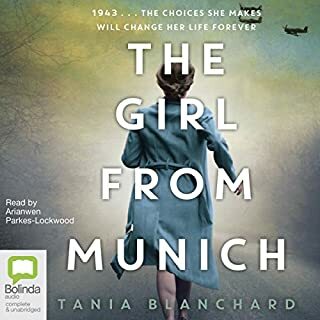 Well worth a read, it is not too long as this audio book really keeps your attention and when the end does come you want to listen again to bits you have forgotten. I am truly impressed! 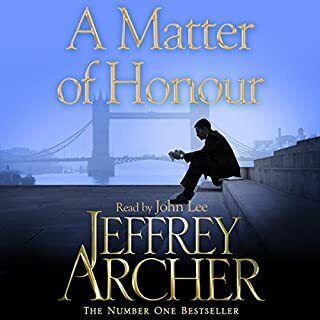 Jeffrey Archer really isn?t someone I would ever have considered listening to in the past but having seen such a high number of great reviews within days of its release and hearing such great feedback from my colleagues I got bitten by the bug and simply had to download! Ok so he?s no Tolstoy, but he had me hooked right from the off and it was wonderfully narrated. I normally only ever listen to books when going to bed and am completely addicted so won?t even think of retiring without my iPod close at hand. That is until now.... Over the weekend facing a particularly untidy kitchen that I just couldn?t put off any longer and wanting to know what happened next in A Prisoner of Birth I decided I should try combining the 2. I never thought I?d hear myself say this but I have never enjoyed household chores so much in my life. When I?d got the kitchen looking somewhere close to respectable I actually found myself wanting to do more as I didn?t want to stop listening. I ended up cleaning parts of the kitchen I didn?t even know existed! I?ve spent a large part of today thinking about what other jobs I might tackle when I get home! My only concern now (other than the thought that I really should get out more!) is what I listen to next to keep up this momentum! 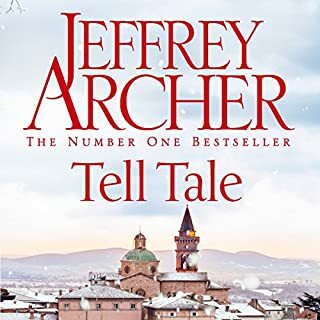 I have to admit to a previous prejudice against Jeffrey Archer's writing quite wrongly believing that it would be poor. How wrong I was to judge by this book! He's a cracking good story-teller. 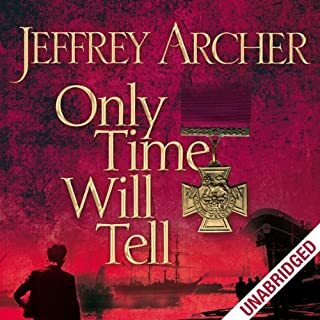 Although the audio book is about 16 hours long it never flags and I couldn't wait to get back to listening to find out what happened next. There are numerous twists and turns in the story that keep one guessing, but none are implausible. The author has used his experiences of incarceration fruitfully not least by adding authenticity to the descriptions of prison life, but he has also done a lot of research into other themes that play an important part in this intriguing story, such as: stamp collecting; how Swiss banks work; and rules of evidence, as well as lesser details about railway timetables. 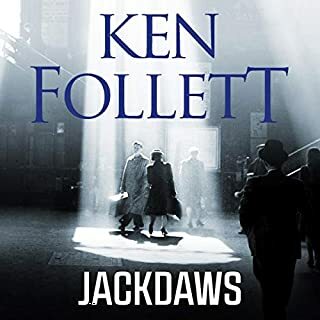 I was reminded a bit of Frederick Forsyth who similarly does a lot of research into details that add credibility to his novels. 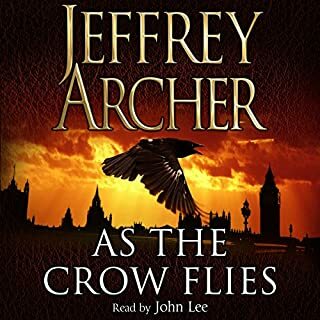 Last, but far from least, the reader of this audio book does a superb job in bringing the many characters vividly to life. 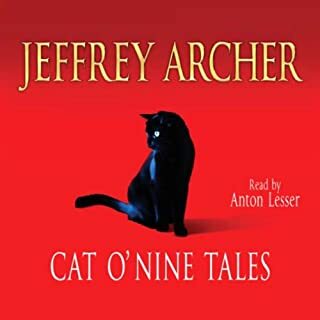 What a great tale - I could not stop listening to it. My only regret is that I bought the abridged version by mistake and have missed out on 10 hrs of great story telling!!! 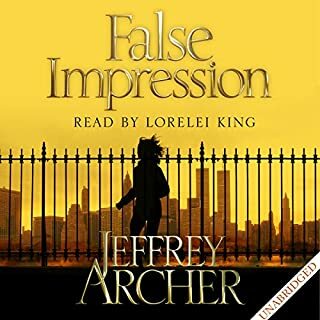 I find with an audio book the story has to be clear and captivating to stop my brain wandering off on irrelevant thoughts! Well there was never a problem with this story. It may not be the most descriptive of prose, but it held my attention the whole time. In book form, it would be described as a 'page turner'. Highly recommended. 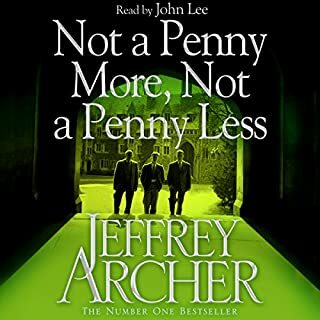 I haven't read a Archer book in several years as I have been reading pretty much everything else - Connelly, Leather, Rankin, Cole, Child etc etc BUT after remembering how good 'Not a Penny More, Not a Penny Less' was, I thought I would give him a go again. Thankfully I can say he has lost none of his skill at spinning a wicked tale that keeps you on your toes from beginning to end! The way he constructs likeable and loathsome characters is top drawer. 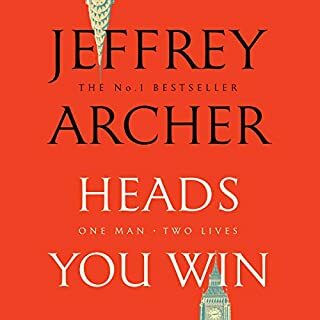 A great yarn and it puts Mr Archer right back up near the top of my favourites list along with Lee Child, Stephen Leather and Ian Rankin, however, as I have exhausted all their books I can see many Archer books being consumed in the next few months! 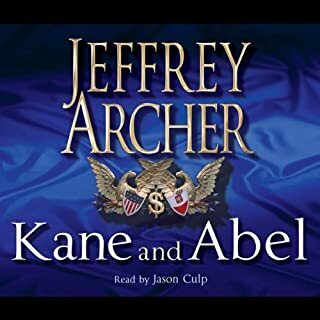 This was my first Archer, as I, like other reviewers, thought it would be pulp fiction. How wrong could I be? the story grips fom the start, and develops apparently endlessly, but I just wanted it to carry on. the story has layer upon layer, never bores and always entertains. An excellent book and very well read by the narrator. This kept my attention from beginning to end and lives up to expectations from the Author. Top class book! 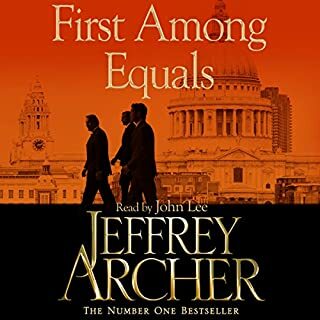 I have never read/listened to an Archer novel and so I didn't know what to expect. How pleased I was when I started listening to this! This keeps you gripped and I find myself driving around the block on my way home from work to listen to a little more (sad eh?). I would recommend this to anyone who enjoys gripping drama.